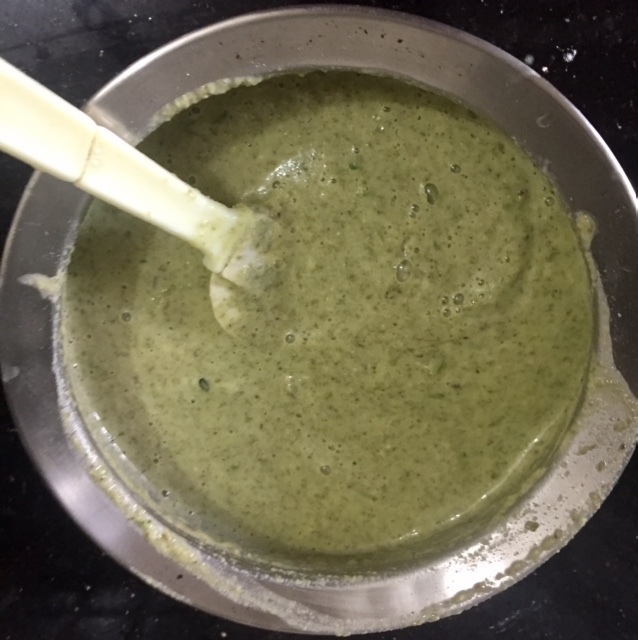 Pesarettu is a popular breakfast dish from Andhra Pradesh. It is made with green moong dal batter and does not require any fermenting. You may add a little rice flour to make thinner and crispier pesarettu. 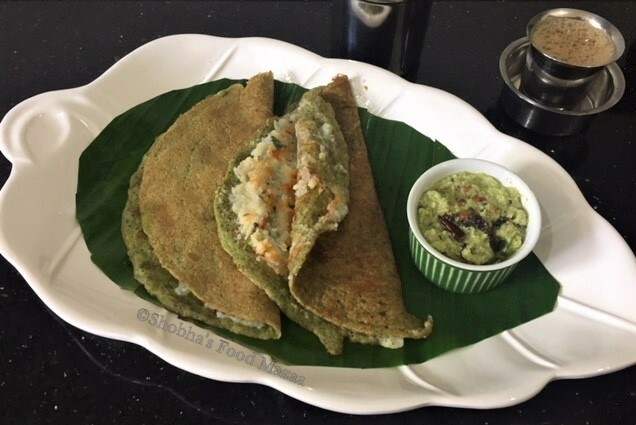 What makes this dosa different from the rest is that it is served with upma filling and not the potato masala. Allam pachadi (ginger chutney) goes well with this. It is a very healthy and filling breakfast. Oil ............................................... as needed to fry the pesarettu. 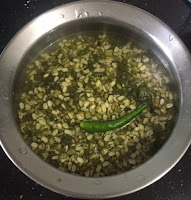 Soak the moong dal for 4-5 hours. Grind it to a coarse batter adding green chillies, ginger, cumin seeds, coriander leaves, salt and water as needed. 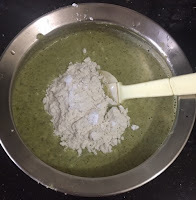 Remove it in a bowl and mix the rice flour. Mix it well to avoid any lumps. Spread a ladleful of batter on a medium hot griddle. Spoon a little ghee or oil for roasting. Ginger (grated) ..... 1 tsp. Cumin seeds ......... 1 tsp. 1. Heat oil in a pan. 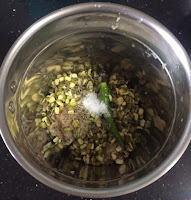 Add asafoetida, mustard seeds, cumin seeds, red chillies and curry leaves. 3. Add the semolina and salt. Stir for 4-5 minutes. 4. Boil two and half cups water and add to the semolina stirring continuously to avoid lumps. 5. Add a spoonful of ghee in the finishing stages for extra taste and texture. 6. Garnish with fried cashew nuts. Loved it. 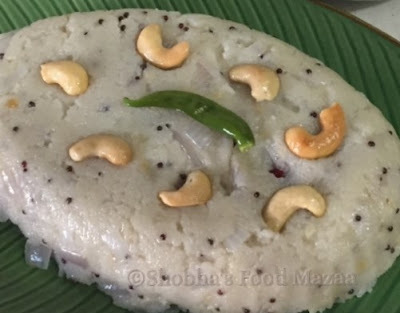 Upma filling seems an amazing idea.Can you add the recipe of ginger chutney too? Thanks Mona.. will make and post the ginger chutney recipe soon. I love the idea of stuffing the healthy mung dall pancakes with upma. All freshly made too. It is healthy and filling Mina... do give it a try..
What a lovely looking breakfast! Wish I had some! You can make them Heidi.. very simple recipe it is.. just like pancakes. These pancakes look delicious and so very healthy too. I usually serve them plain with pickle but I like the stuffing you have used. This is a traditional way of serving them in Andhra.Very filling.